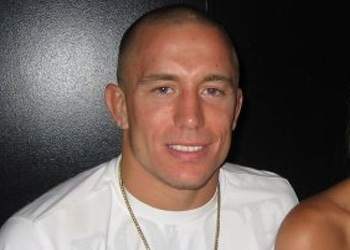 There has been plenty of back-and-forth bickering between welterweight king Georges St-Pierre (pictured) and Nick Diaz heading into Saturday’s shootout at UFC 158. Thankfully, the UFC has put together a video to get fans up to speed on how their beef started brewing. While the clip doesn’t cover the initial rant Diaz unleashed during a Strikeforce conference call where we was upset about being broke compared to St-Pierre – you remember, the infamous broken down Honda tirade – it does pick up the banter from UFC 137 through last week’s unforgettable media call. Unfortunately, the promo must have been pieced together before Thursday’s press conference. There was plenty of hot fire getting flung around yesterday, though it was not included in the clip. The bitter rivals finally get to settle their differences Saturday inside Bell Centre in Montreal.